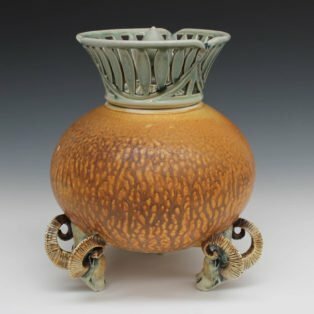 Katherine discovered ceramics at age eleven before apprenticing with a potter in high school and later developing her practice during completion of a Bachelor of Arts degree from Guilford College in Greensboro, NC. 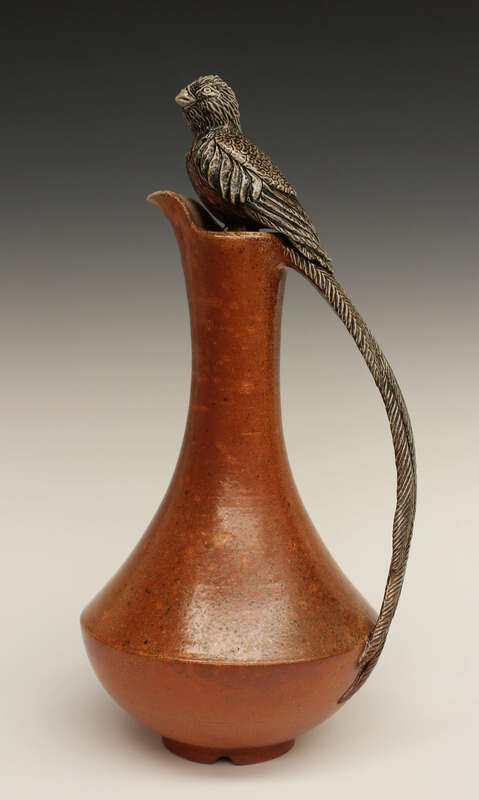 During a 2012 study abroad in Southwest China, Katherine apprenticed with Tibetan Nixi Potter, Sun Nuo QiLing, where she was influenced by the Nixi style of integrating narrative animals with traditional vessels. 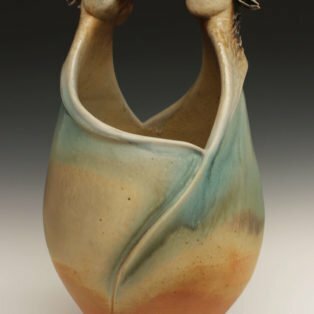 In 2013 Katherine set up a home studio on her family’s farm and has annually participated in juried fine art shows in VA and NC, receiving multiple awards of achievement. 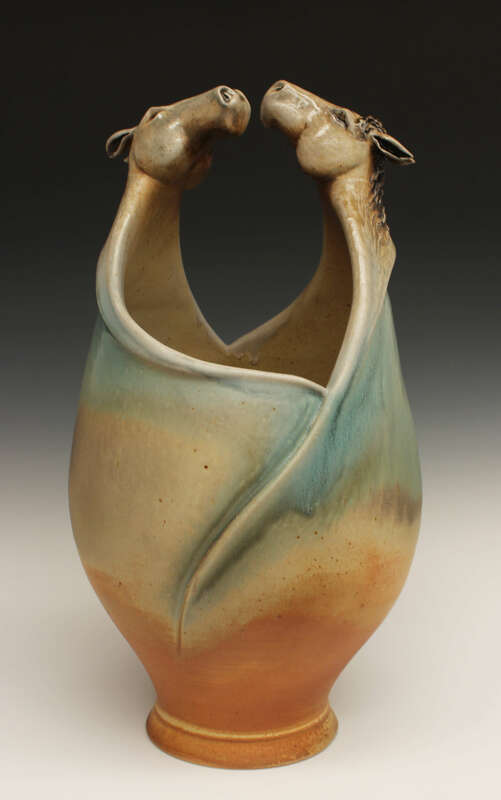 She has shown in juried group exhibitions at galleries including Baltimore Clayworks and The Gallery at Flat Rock. 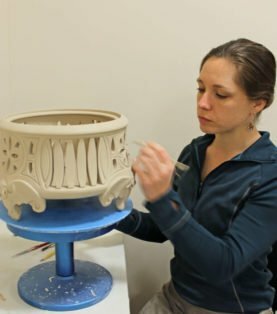 Between 2016 and present, Katherine attended in a six month artist residency at Starworks Clay studio, an assistantship at Peters Valley School of Craft, and a two month artist residency at Mars Hill University. 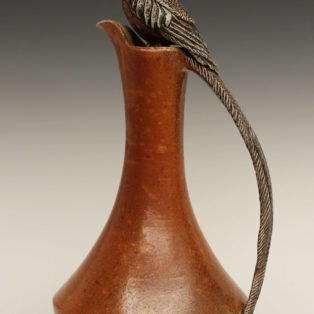 During childhood on my family’s organic farm, daily interactions with plants and animals caused a sense of wonder and connection to the landscape. 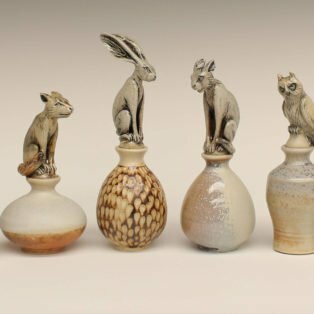 My current work references this personal experience while responding to a human desire for closeness to the natural environment represented by animals. 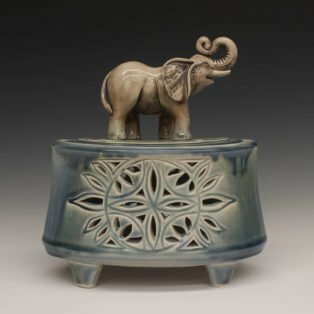 In my practice, I sculpt figurative animals integrated with vessels to create symbiotic forms intended to enter the domestic space. 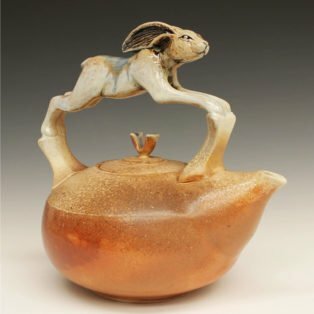 Each animal is presented in a position of honor and integrity, aiming to invoke an introspective response while the corresponding vessel invites human interaction. 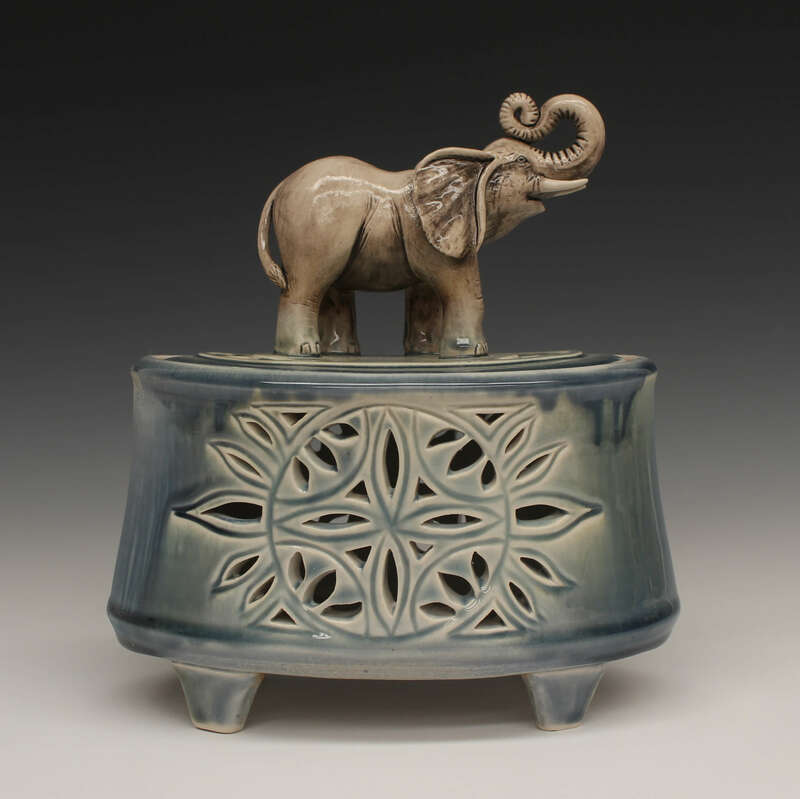 Using porcelain and stoneware, each piece is wheel thrown, altered, sculpted and carved. 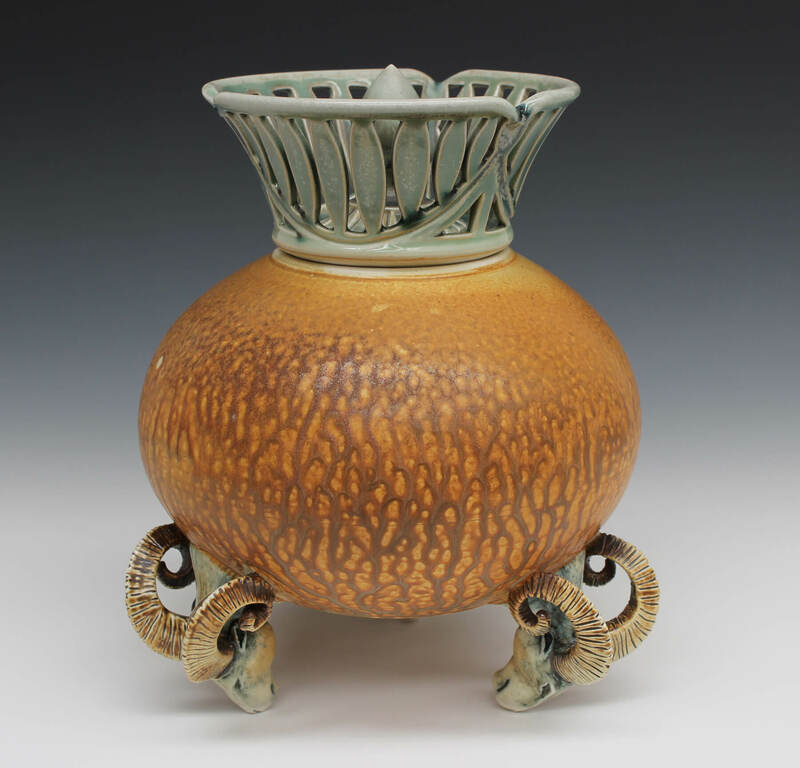 Firing in both electric and wood kilns, I attempt to accentuate qualities of preciousness through glaze application or spontaneity of ash and flame.